An enormous ski resort complex is proposed in the Svydovets massif, which forms part of the Carpathian mountains in Transcarpathia in western Ukraine. Plans for the megaproject - comprising 230 kilometres of ski runs, 33 ski lifts plus hotels, restaurants, shopping malls, an airport and other facilities - first came to light in 2016 and if it goes ahead it will be the largest ski resort in the country, an urban centre in its own right with capacity to accommodate 28,000 visitors simultaneously. 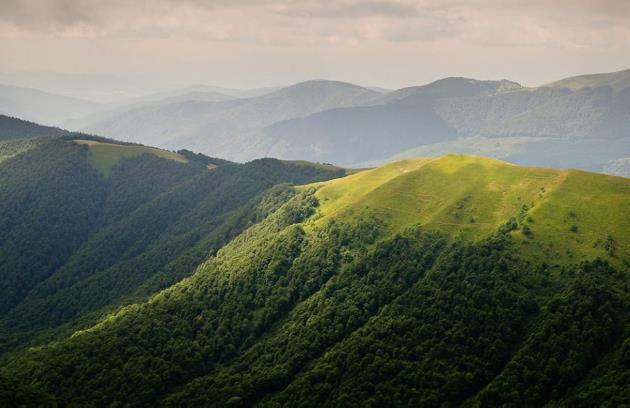 The development would cause serious ecological damage to Svydovets, one of the most beautiful mountain ranges in Ukraine. Wild spruce and beech forests are rich in flora and fauna and there are three natural lakes. Government officials have lobbied for approval of the project. The governor of Transcarpathia, Guenady Moskal supports establishment of the ski resort, financed by unknown investors. The project area spans Tyachiv and Rakhiv districts. Three villages are directly affected: Yassinya, Tchoma Tissa and Lopukhovo. At the beginning of 2017 public hearings were organized by both districts aiming to obtain agreements for the project. An activist from Lopukhovo reported that citizens were not informed about the vote for or against the Svydovets project that was due to take place at the public hearing, a lack of information that led to a mere 20 people making the decision on behalf of the whole village. A number of Lopukhovo residents lodged a legal complaint in the administrative court, calling on lawyers, ecological organizations and members of the national parliament to assist them. The resort project threatens to worsen an already serious problems of excessive tree felling. Many residents opposing the project work in the local forest and timber industries. For over 20 years they have been protesting against poor forest management and corruption; in particular they have denounced woodcuts undertaken ostensibly for sanitation reasons. For example, 50,000 cubic meters of timber was cut in the Lopukhovo state forest in 2005, and by 2016 the situation had escalated and become catastrophic with the volume of timber cut increasing to 240,000 cubic metres. High levels of wood cutting reduce biodiversity due to habitat loss, lead to soil erosion, and can cause landslides. Svydovets lies at the source of the river Tisza, one of the most important in the region, and construction of the mega ski resort would cause serious disruption to hydro-geological systems. The massif has one of the highest levels of rainfall in the region, 140 mm per year. There are also concerns over the strain the project would cause to water resources in the Tisza river basin area. The projected number of visitors to the ski resort would require at least 12 million litres per day and water pollution would be inevitable. Opponents of the project question the rationale of such an enormous urban development in the heart of the Svydovets, high up in the mountains, in the absence of infrastructure for either resident communities or tourists at lower altitudes in the existing villages. There are no proper water and sewage systems and no facilities such as hotels, supermarkets, banks or medical centres. The road network is minimal, yet state forest personnel in Lophukovo have begun construction of a new road extending across the massif to reach the centre of the planned ski resort and linking to the districts of Tyachiv and Rakhiv. Free Svydovets lodged a legal complaint against the project. The first court session took place on 14th November 2017, attended by 20 activists and filmed by a national television channel. The three main leaders of the campaign in Lopukhovo received several telephone callsthreatening them with dire consequences of they do not give up their campaign. In March 2018 Free Svydovets initiated a petition to President Poroshenko, the government and environment minister to protect the massif from the resort, emphasizing the endangered species of plants, fragments of old-growth forest and unique glacial lakes at risk. An appeal court session in April 2018 required the Tyachiv and Rakhiv state administrations to provide the court with detailed plan of the territory of the mega-resort and on 4th May the two districts presented large maps of the site with descriptive information. The plans revealed that an area of more than 430 hectares of forest would be clear cut. Opponents began scrutinizing the documents to ascertain whether the plans adhere to Ukrainian laws. Hopes for legal statutes to ensure forest preservation were raised when the Ministry of Environment approved an application for creation of a protected ‘Central Svydovets’ area of 335 hectares. By August 2018 over 20 European organizations had signed up to the Free Svydovets campaign opposing the ski resort. The European Wilderness Society visited the massif and a group of Ukrainian scientists prepared a scientific ecological assessment of the impacts of development on the scale of the planned resort. Changes to the hydrological systems of the area would be far-reaching. The main tributaries of River Tisza originate in the massif and lakes, streams and marshland act as a water reserve, absorbing water from heavy rainfall and thawing snow. Large scale intervention of the type planned for the resort would cause soil erosion, flooding, landslides, lowering of the water table and the risk of drought. Climate change, with higher temperatures and shifting precipitation patterns already evident, poses operational challenges to the planned ski resort. The altitude of 1,700 meters is low compared to mostski resorts in Austria, which are located at altitudes of between 1,500 and 3,000 meters. Yet many of Austria’s ski resorts are struggling due to decreasing and irregular snowfall. Ski facilities rely on ever increasing volumes of artificial snow to operate. This places a strain on local water resources with over-extraction leaving many reservoirs empty as early in the season as January and host communities having to contend with increasingly frequent water shortages. A paper presented to the 5th Forum Carpaticum: Adapting to Environmental and Social Risk in the Carpathian Mountain Region, held in Eger, Hungary, from 15th-18th October 2018 stated that the at ski resort would over 1,430 hectares and that up to 850 hectares are earmarked for deforestation. A total of 93 species listed in the Red Data Book of Ukraine, 42 plant and 51 animal, would be threatened by implementation of the project. Building the resort would violate national and international laws pertaining to protection of species and habitats, having a direct impact on protected territories. The project would also have direct negative impacts on people’s health and livelihoods: a decreased water table leaving inadequate resources for domestic and commercial use, decreased food production due to loss of mushrooms and berries and loss of income from plants used to produce natural medicines. 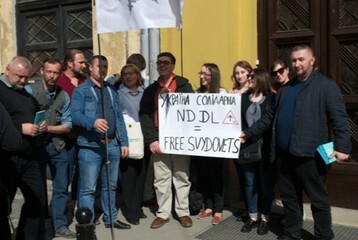 Free Svydovets has worked to garner support from the wider Carpathian mountains region, which extends across central and eastern Europe. At a meeting of the Framework Convention on the protection and Sustainable Development of the Carpathians in Hungary representatives of campaign raised the issue of Ukraine failing to meet its obligations with regard to sustainable tourism. In November 2018 Swiss non-governmental organization Bruno Manser Fonds, a key supporter of the Free Svydovets campaign, presented the Ukrainian Embassy in Bern with an official appeal to protect the Carpathian forests from the threats of illegal tree cutting and the gigantic ski resort. A petition calling on President Poroshenko to preserve the ecologically unique forest landscape was signed by 8,258 Swiss citizens. At this juncture authorities had still not informed the public about details of the project plans or the origin of the investors. Presenting the petition on behalf of a delegation with representatives from Bruno Manser Fonds and the European Civic Forum, Oreste Del Sol, coordinator of Free Svydovets, informed Ukrainian Ambassador Artem Rybchenko that people from affected villages who speak out against the project were being pressured on a massive scale. Construction of a new road extending across the massif to reach the centre of the planned ski resort, linking to the districts of Tyatchiv and Rakhiv, has commenced. Construction of several reservoirs with the total volume of 1,260,000 cubic meters is planned, in order to provide water for tourists and artificial snow production. The ski resort would produce up to 5,800 cubic meters of sewage waters daily. Development of Alternatives Free Svydovets supports the development of sustainable tourism and creation of small-scale resorts in certain areas where environmental impact assessments stipulate that the environment will not be harmed. Why? Explain briefly. A court decision requiring the Tyachiv and Rakhiv state administrations to provide detailed plans of the mega ski resort was an achievement for environmental justice. The outcome of the more substantive matter of construction of the resort is uncertain. If the project goes ahead it would violate numerous provisions of national and international laws pertaining to protected species and areas.